Lily Hamilton is now 7 years old and just finished her first grade year of school. 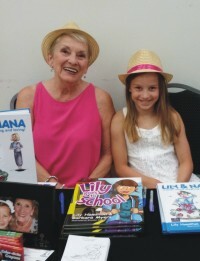 She has spent a lot of time traveling and promoting her first book, Lily & Nana, and is excited to write more books about her experiences of school. Lily lives next door to Nana in Morgantown, WV.